Detects low level thermal inversions & measures air temperature at boom height as required for pesticide/herbicide application. Displays “Inversion Present” or “No Inversion” with intensity shown in degrees based on temperature measurements at 1 meter and 3 meter heights. Radiation shields around temperature sensor provide protection from errors resulting from solar or ground thermal radiation. Auto detects when temperature readings are stable. 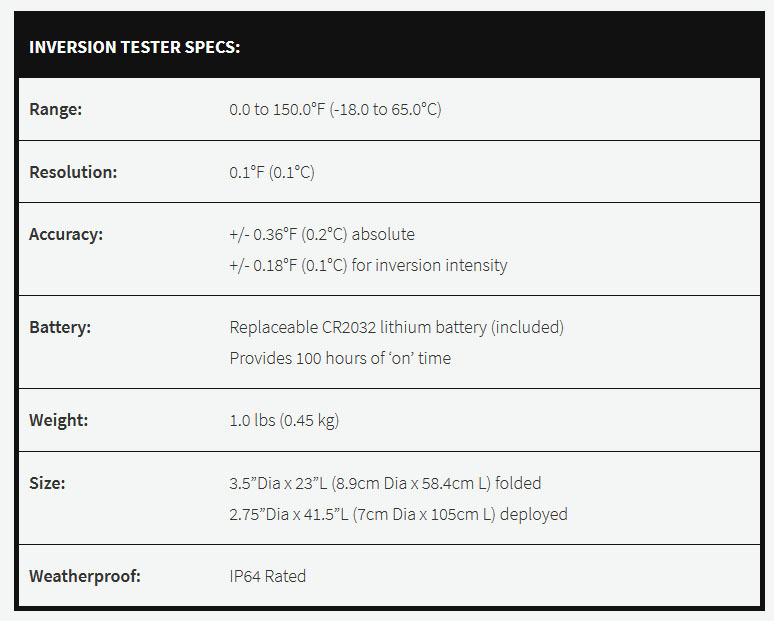 Includes NIST-Traceable Certificate for temperature accuracy. Backlight on LCD for dawn/dusk or night operation.